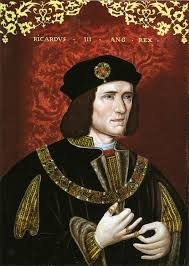 In the spring of 1484 Richard III’s position on the throne of England was as secure as it would ever be. He had put down a rebellion against his usurpation a few months previously and was doing what he could to get Henry Tudor ousted from his exile in Brittany. Early in May he held court at Middleham and it was here that he received Nicholas von Poppelau, a Silesian ambassador of the Holy Roman Emperor Frederick III. Poppelau’s visit represented an important opportunity for the king’s foreign policy, especially if he decided to reopen hostilities with France. So the red carpet was laid out for the visitor, who was duly impressed by the court’s splendour (in particular its music) and by Richard’s generous and courteous behaviour. Incidentally, given that the discovery in Leicester of the king’s mortal remains has finally laid to rest the myth of Richard’s hunched back, it’s worthy of note that Poppelau’s detailed and objective description of the young king makes no mention of any deformity. It does refer, somewhat mystifyingly, to his ‘great heart’. The remark carries the stamp of authenticity. Richard enjoyed war and he was good at it. At Bosworth he famously led a cavalry charge against Henry Tudor which proved to be his downfall. Expressing enthusiasm for crusading was politically correct for rulers in the fifteenth century, while the distance separating England from the frontline had been an issue since the time of Richard Coeur de Lion and the Third Crusade. Henry IV and Henry V had piously talked about crusading, and even Henry VI would show polite interest in it. Fifteen months later any such dreams would die with the king at Bosworth, and from this angle it’s the last phase in the comment that is most telling: ‘not only the Turks, but all my foes’. It would be wrong to make too much of a reported dinner table conversation, but the words point towards Richard remaining uneasily aware of the perils he was facing even as he held magnificent court in the heart of his lands in the north. He was talking about the Turks and Hungary, but his thoughts were on Henry Tudor and Brittany. As for Poppelau, he was not over fond of the English generally. Their cooking was poor and their women impudent. They surpassed the Hungarians in brutality, the Poles in ostentation and pilfering, and the Italians in deceit. 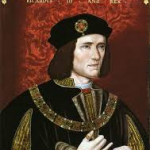 In which Lin Foxhall, Head of the School of Archaeology and Ancient History at the University of Leicester, considers how the new discoveries might throw new light on old accounts of Richard III. It is ironic then, in the light of Richard’s enthusiasm for the fight against the Turks, that the man who would have been Emperor of Christian Byzantium – had the Turks not overthrown his family in 1453 – was the captain of one of the ships that landed Henry Tudor in Wales in 1485.